A Regular Sixth International Hispanic Scientific Conference ‘Axioms and paradoxes of Hispanic world: Investigation and Teaching’ (Axiomas y paradojas del mundo hispanohablante: investigación y enseñanza) will take place at the University of Moscow State Institute of International Relations (MGIMO) of the Ministry of Foreign Affairs of the Russian Federation from 24 to 26 of April 2014 . 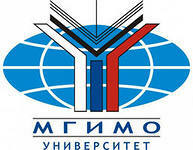 In 2002 MGIMO laid the foundation for a new University tradition by developing the accumulated Russian and Hispanic experience: conduct regular (once every two years) international scientific meetings of Hispanists. Their specificity is that they are participated not only by Hispanists and teachers of the language, but also by diplomats, politologists, economists, lawyers from leading universities of Europe and USA. Another peculiarity of the conferences held at the University of MGIMO is that they are conducted in Spanish. The first experience in organization of such activities was obtained in 2002 when MGIMO-University amicably threw the doors open to the participants of international discussion group of European association of Spanish teachers from 12 countries including Spain, France, Great Britain, Israel, USA, Swiss, Sweden, Korea and Holland. The topic of the discussion group was as follows: ‘The Spanish language as a bridge between the cultures: history and perspectives’. The first international scientific conference of Hispanists took place in MGIMO-University in February 2004 and was entitled ‘Spain in the world history and culture: language, traditions and modernity’. The conferences are traditionally participated by leading Russian Hispanists from the Lomonosov Moscow State University, Peoples' Friendship University of Russia, Moscow State Linguistic University, Moscow State Pedagogical University, Higher School of Economics, Moscow Aviation Institute, Financial Academy, Academy of National Economy, Social University, Omsk University, Krasnoyarsk State Pedagogical University, Voronezh State University, Pyatigorsk Linguistic University, Military University of the Ministry of Defence of the Russian Federation, teachers of Moscow secondary specialized Spanish language schools №1252, №1558, №110, and teachers and postgraduates of the department of the Spanish language of MGIMO. Apart from the department of the Spanish language other departments of MGIMO such as departments of history and politics of European and American Countries, diplomacy, comparative political science, philosophy, world economy, Institute of international studies traditionally participate in the conferences of Hispanists. Hispanic professors from Spain, Swiss, Germany, France, USA, and Mexico who represent Universities of Castile– La Mancha (Toledo), Valladolid, Complutense, Barcelona, Cantabria (Santader), Valencia, Granada, Paris Higher School of Business, University of Montpellier, University of Bavaria, universities of Mexico and Basel present their papers as invited specialists. Starting from 2008 Santander Bank which is one of the largest banks in Spain has been a sponsor of conferences of Hispanists which is being regarded as evidence of cooperation between MGIMO and the financial institution.